Laminated flooring combines natural looking designs with a tough, durable finish and can be used in almost any area of the home. Their surfaces are resistant to scratching, denting, sunlight fading and cigarette burns. This has increased its popularity among homeowners. Laminate floors also offer realistic designs and can replicate the characteristics of the popular hand-scraped hardwood floors, natural stone and inlaid medallions. 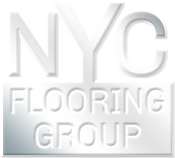 At NYC Flooring Group we carry a full line of laminated flooring products for your laminate floor installation projects. We carry a full line of laminate flooring products from products that look like tile flooring, inlaid wood, medallion designs for a one of a kind look, products that mirror natural hand-scraped products. Laminate floor brands we carry are Bruce, BHK, Colombia, Dupont, Balterio, Krontex, Tarkett, Mohawk, Shaw, Wilson Art, Quick Step. Contact us to inquire about other laminate floor brands. We provide NYC carpet installation, Manhattan laminated flooring installation, Brooklyn laminated flooring installation, Queens laminated flooring installation, Long Island laminated flooring installation, Nassau County laminated flooring installation, Suffolk County laminated flooring installation, Bronx laminated flooring installation. We have completed many laminated flooring installation jobs in the NY metro area. All our laminated flooring installation jobs are backed by certified laminated flooring installers in addition to providing full insurance for laminated flooring installation jobs. We are also licensed for laminated flooring installation jobs. If you are looking to get laminated flooring installation in Manhattan, Queens, Brooklyn, Bronx, Long Island, Suffolk County, Nassau County, Westchester, give us a call so you can get our 110% price match guarantee. Contact us for your New York laminate flooring needs.